Throughout the first months of 2018 pecan prices have continue to decrease almost on a weekly basis reaching sub $6.00/lb levels. The steady flow of cheaper raw material filtering through to the packers has been the main driving factor of the softening pricing. Several processors were also in need to turn there material into cash and lowered pricing accordingly to keep sales consistent. Over the past few weeks the availability of incoming raw material has now slowed whilst demand has reaming similar and we are therefore now seeing the market turn around and start to increase. 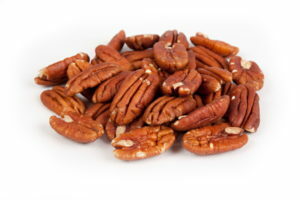 The consumption of Pecans globally is at an all time record. Marketing efforts and lower pricing have affected the global market. The Mexican crop was larger than expected and initially reported and all signs point to a sizeable crop. The US crop indicates to expect around 280 million lbs. With pricing now seeming to have turned, and increasing, it is though this will now continue into Q3.